Selected among Best Games of 2016!Are you a foodie? Are you a cook? 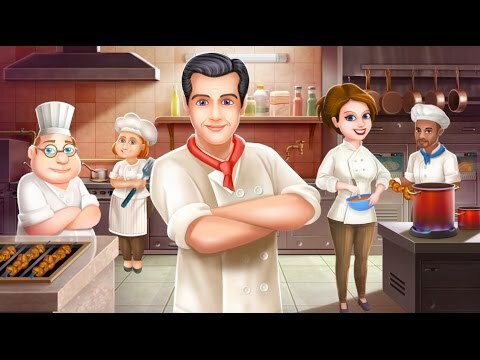 Do you like to create recipes or simply put together a good cookbook?You can now live your dream of becoming a Master Chef and building your own classy restaurant with humble beginnings.Rustle up Soups and Starters, Pastas and Pizza... Lihat lebih banyak Selected among Best Games of 2016! Are you a foodie? Are you a cook? Do you like to create recipes or simply put together a good cookbook? You can now live your dream of becoming a Master Chef and building your own classy restaurant with humble beginnings. Being a Top Chef is not just about running a kitchen. It’s about having the right tools, getting the right mix of ingredients, using the freshest produce, to bring in flavor and that dash of spice and zing! Plate up exotic dishes, ramp up your restaurant tastefully with elegant décor and begin your tryst with the awesome world of food to realize your dream of becoming the Star Chef! •	Customize and build the restaurant of your dreams with elegant wall and floor decors, stylish tables, fountains and more! •	Grow fresh produce from your very own backyard! •	Serve delicious food to hungry foodies who visit your Restaurant! •	Play with friends on Facebook and Game Center, visit their Restaurants and send gifts at the Chef&apos;s Circle! •	Trade cooked dishes and veggies with other Star Chef players at the Food Truck and Chef&apos;s Store! •	Start a bustling Catering Business and expand your Restaurant Empire!